Quick Roofing was great for all of our home issues after the big hail storm this past summer. We have used them twice now and highly recommend the company. Thanks for your help, professionalism and expertise! I'm highly satisfied with the service that I received. The quality and speed were outstanding. Jesse's attention to the work, availability and his recommendations and dealing with my insurance was world class. Will be always grateful. What an impressive job you guys did on my roof. These guys rock out my roof from tear down to clean up in 10 hours! And the team were professional and very concerned about protecting our plants. What if my insurance deductible is too high? Insurance companies are out to make money just like any other business. Allowing one of our trained staff to negotiate on your behalf can help you get the most out of your insurance claim. Don’t forget to ask your sales representative about our advertising incentive and referral incentive programs which can save, or even earn you money. Don’t panic! In most cases a new leak will not cause major damage to your home. 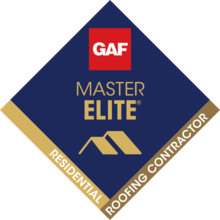 Simply call our main service department at 888-810-1002 or fill out the form above for a Free Roof Inspection. Call local suppliers and ask about their experience with the company. Check the business with the Better Business Bureau, Angie’s List and other associations. How is the company going to protect my interests? Do they want money up front? Do they offer quality control through the roofing process? What does the warranty cover, and for how long? Will I still have a warranty after the repair work is completed? Do they have a dedicated staff that handles warranty issues? Is there a benefit to using 30 year shingles? While 30 year shingles will not always last 30 years, they should definitely be considered if you’re replacing your roofing system. In general, 30 year architectural shingles last longer and have a higher wind rating than standard 20 year shingles. Our experience over the years has also shown that this low cost upgrade can also provide greater curb appeal and increase a property’s resale value. Please ask your sales representative for pricing on the 30 year options. Should I use valley metal in my roof valleys? Valleys are a main area for roof leaks due to the amount of water that can funnel to this space. Added protection for valleys is useful in Northern regions where ice and snow can collect for extended periods of time, dam up and create a leak. In milder winter climates, this is not much of an issue. Despite the lower risk of roof valleys causing leakage in milder climate areas, you may still want to consider adding protection in this problem area. The valley is typically the highest place for foot traffic on your roof, and a little extra protection will help if the shingles become damaged in that area from foot traffic or a storm. We recommend that you use a self-sealing membrane in your roof valley rather than installing valley metal. Unlike valley metal, a self-sealing underlayment will seal itself back up after a nail is driven through it. Unlike valley metal, self-sealing membranes will also never rust out.